The sword patterns and makers of the British Empire are generally well documented, with a wide range of material available from 1788 pattern all the way to the present. Despite this wealth of literature, a few swords slip under the radar. 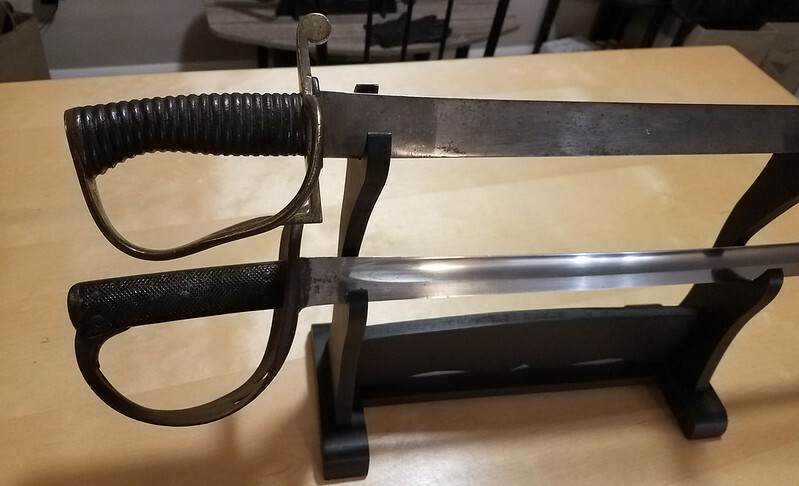 Today, I present one of the rarest - the British 1861 Hospital Corps Sword. 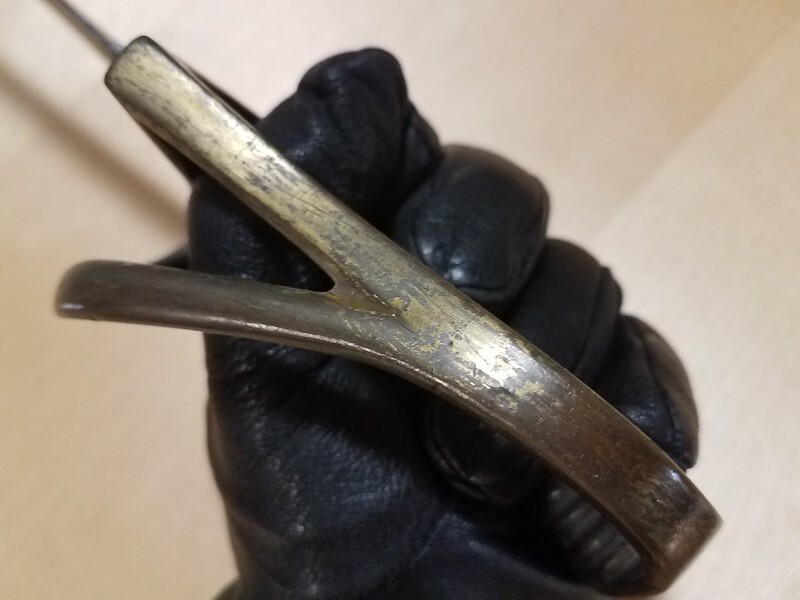 I initially picked this up because it seemed like it would make a good friend with bfoo2 's 1896 Mountain Battery sword; both swords share the same cast iron grip and brass hilt, so likely shared at least some genealogy. The price was good, so I bought first and asked questions later. The small number of 1861's produced is further fragmented by the fact that there appear to be several variants. One source (Australian War Memorial) depicts a unfullered, slightly curved blade, while a retailer shows a model with a fuller. A survey from oldswords again reveals both models, along with a third one with a straight unfullered blade. The one I have has the first combination (curved, unfullered). While the bloated blade dominates the first impression, clues about the 1861's function are hidden in the grip and hilt. The cast iron grip is rugged and durable, but it has also been well sculpted. It fits the hand almost perfectly and gives good support in all areas, while offering enough room to adopt an open grip. 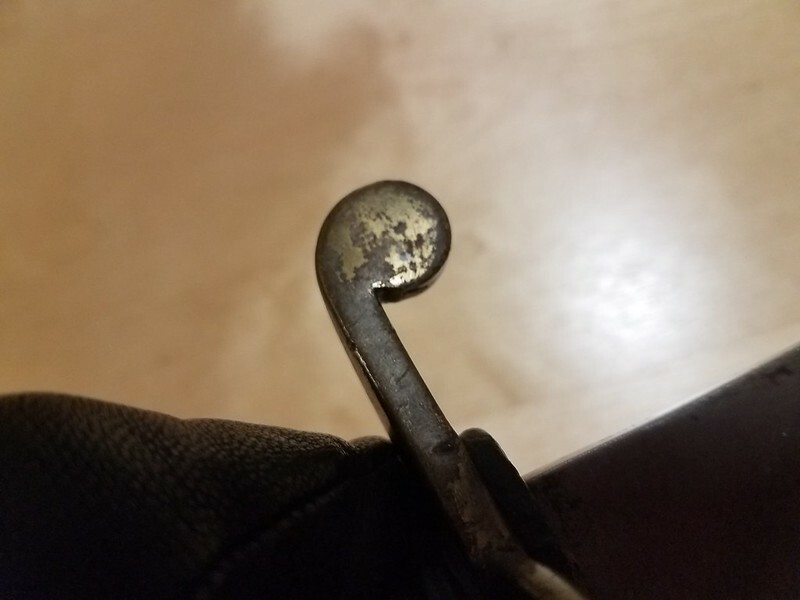 It may not be the best grip for all people, but its shape demonstrates intent - whomever made this intended the sword to be used, and spent time and effort designing it so that it would succeed in that function. The blade is where the 1861 shines. Again, it looks super awkward, but it actually has good taper. The 1896 has better taper, but gives up on stiffness. The spear point of the 1861 rectifies this superbly - its impressively stuff even considering its short length. There is less flex in this than most cavalry swords, and it achieves this while still being reasonably light. The handling is good.....ish. The blade is light and it moves around very well. I would put the blade about 75% as good as the 1896, but with the benefit of the additional stiffness. What gets it down is the weight. There is a LOT of weight in that hilt, being a solid lump of iron. The close PoB seems to support this. Interestingly, bfoo2 's 1896 weighs in at 0.2lb lighter than the 1861. I suspect that this may be due to the guard. I know what you are thinking - that extra sidebar adds a *bit* of weight for sure, but thats surely not enough brass to make up 0.2lb....and you are right. However, its not brass. My example has discolouration on the hilt, which I assumed was surface staining. Upon closer inspection however, it looks like the darker brown/grey is actually the guard material, and the brass stuff is plated ontop. The coating is definitely metallic (as opposed to paint), but it is also definitely ontop of something else. The substrate has a similar luster to iron or some other heavier base metal, which I suspect contributes to the weight. All in all, its a cute little sword. I was originally drawn to it because of its rarity, but have come to appreciate it as a fighting weapon. If eels like what the 1873 Prussian should be - its solid in the hand and gives you confidence, but its also light and nimble enough to dance in the hand when you need it. The grips fit the hand nicely (unlike the 1873 - at least for me), and the dimensions are perfect for its intended role as a sidearm. 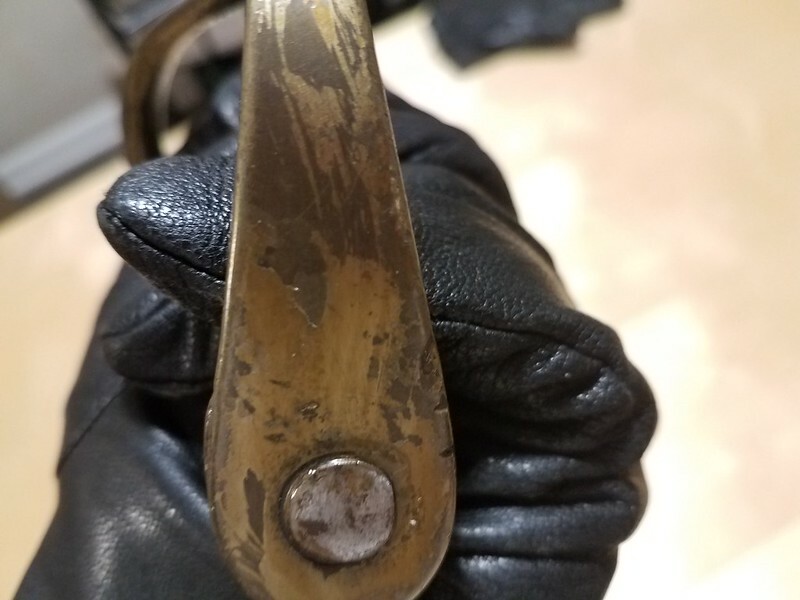 The idea most very likely came from the 1804 pattern naval cutlass with the iron "double-disk" hilt. The final chapter of this design is in the aforementioned 1896 mountain-battery. There are two flavours: one with the familiar "P"-guard (although invariably without branches) and a "D"-guard pattern. I recall that one of these was for the Indian army, but I cannot remember which. Also, I have found reported blade lengths varying from 24in to 30in. To my eye, there isn't any difference between the plan P-guard Coast Guard/Revenue swords and the later Mountain Battery ones, save for the date of issue (ID'ed by maker's marks or arsenal stamps). I get the sense that these swords were passed along and down among the various "fringe" services that perhaps were not high up on the priority list for new swords. 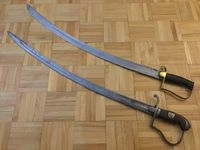 Certainly, the cast-iron hilts are near indestructible and wonderfully low-maintenance, and I can see these swords being taken apart and re-hilted onto different guard/blade combinations as need arose. 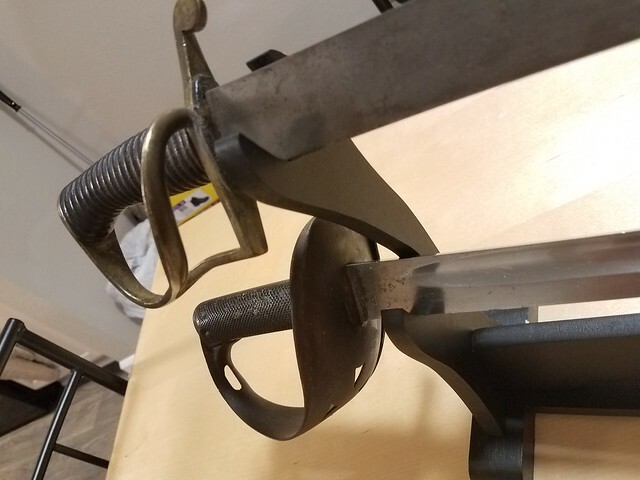 My 1896 mountain battery sword is 2.0lb, but has a PoB of 4 inches. Blade length is 30in, so a touch longer than yours. Handles completely differently though... no heaviness at all! Hmmmmmmmmmmmm. 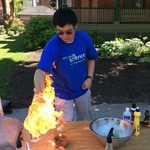 Very nice, I was watching this and was wondering how it would compare to your MB funnily enough. Very good find. Thanks for the review. The DBW OP gave it the provisional working title of ,, British Navy sabre. 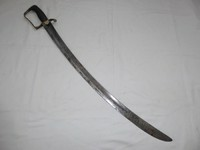 Sabre for privates of the Army Hospital Corpse ''. The ,, British Navy '' part is intriguing. I do not think the DBW OP's ,, British Navy '' suggestion as in ,, primarily designed for the Navy '', is far off the mark? The sturdy and short design seems to point at this too. So what is the ARMY Hospital Corps doing with it? Private Kelly! You drunk sob! Didn't I tell you: The LEFT limb. The LEFT. Yes you schnotz, the OTHER right! I think bfoo2 is right - the blade may have been recycled. Its marked Mole on the spine, with a crown over 16 on the ricasso. Curiously there is no WD broad arrow anywhere. Given that the WD did not exist prior to 1855, this may suggest an earlier pattern? Note that the markings is a crown over 16 - no manufacturer code (E, B, S, etc). IIRC, the manufacturer codes came into effect in the later half of the 19th century. I find the digging and detective work more and more to be the interesting and fun part of the collecting story. Even if it does not lead to a satisfactory conclusion, one almost always stumbles upon interesting factlettes and tidbits. 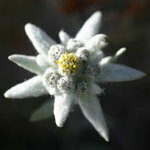 Very often those tidbits have nothing to do with the subject, but that does not matter. They sometimes slot right in with another dig that got stuck. Your Mole blade got me hunting. Pooley Swords have a book out with the complete Mole records. 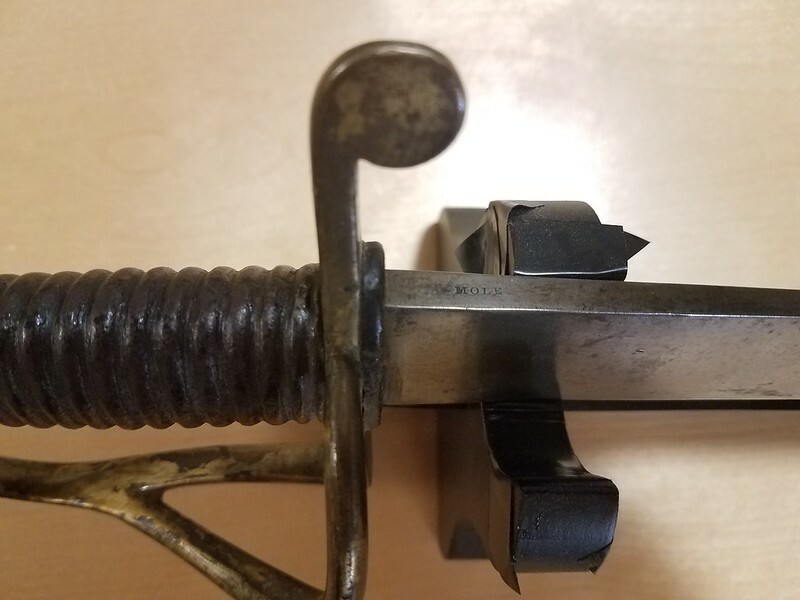 As, generally speaking, I am not very much into British sabres and swords, apart from the P1796 HC/LC that is, this may be old news. Only in 1988 those records were found: pooleysword.com/en/The_Swords_%26_Records_of_Robert_Mole . I say this because a way to be able to slap a general date on your blade, is to compare your Mole stamp with other Moles. I am thinking the stamp may have changed over time? Following this lead, you would have some time frame, although wide, for the blade. I remember, yes this event is quite shocking to me too, seeing this particular stamp design on a P1796 LC blade. I do not think bfoo's P1859 sword-bayonet fits into the picture. It may be the camera angle, but it looks like that this blade is quite a bit narrower. But I can see too why bfoo came up with it. I like how this all branches out to other rather obscure sabre types. The Revenue Services sabre piqued my interest with its nice 30" P1796 LC blade. The Revenue Service was not composed of some fat arsed morons behind a desk. No sir. The teams operated much like Cavalry, as they had to cover much and often inaccessible terrain and actually had to fight it out with large smuggling gangs up and down the coast, especially in Napoleonic times. This very lucrative business involved very nasty characters from every social stratum. Corruption ran rampant. 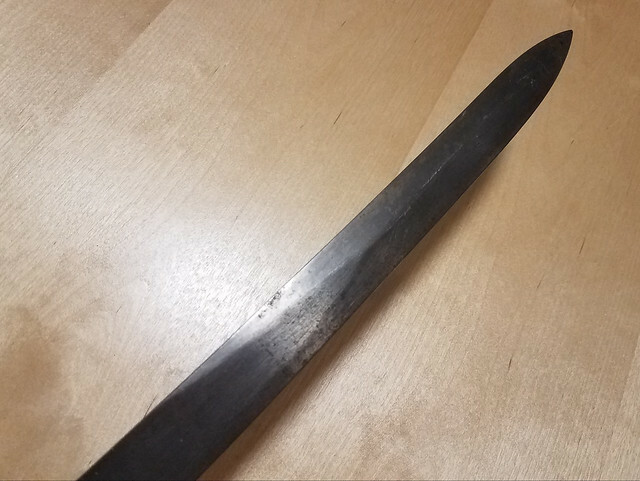 The use of the P1796 LC blade bears testament to some ferocious fighting with those ruthless gangs. I would like to have a Revenue Services sabre for sure. A very interesting and often forgotten piece of history from the home front. I have seen iron gripped plain brass P short sabres listed as nco artillery swords back to the late 18th century. Old Swords has one of these brass half basket types listed as Victorian mountain artillery. One thing about Old Swords is that most of the examples are posted exactly as they are worded during sale. The problem can be that ad copy, and then generally posted information, may be an interpretation of a reference, Or, simply misinterpreted and sometimes in the sources themselves. I don't own Robson either but one beauty of owning such primers is that they establish a base reference. I have picked up a lot on the internet as well and the community at large has been very giving. From such a base of reference, the data can then either be refuted and amended, or being able to stand on its own as staid absolutes. Anyway, back to my first observations and my then wondering what truly specifies the object sword as medical corp instead of a mountain artillery piece. As mentioned, the plain brass P guards sometimes listed as nco artillery pieces and the half baskets seemingly appearing by the 1820s. Dave Kelly owns the book, so maybe he'll share a few paragraphs. So I am not the only one seeing the problem with Oldswords, which is the repeating of the sellers blurb without the info getting vetted and/or edited. Don't get me wrong. I am glad the service is there and I do not mind paying, but over time I came to the conclusion it simply was best practise to compare especially Oldswords info with other sources. Oldswords does not have the almost fanatically dedicated userbase DBW has. It is just an image collection really. A good starting point at best. And that's alright as long as one knows. Quote: ,,Sabre for the Privates of the Army Hospital Corps. This pattern was introduced (there) in 1860. Before 1860 the pattern was already in use by the Coast Guard. See Brian Hobson: Swords of the British Army, page 243.'' end quote. Yup - so naval sword heritage seems clear. Again, I think I have Hobson somewhere at home, so will dig that up. Its really a cute pattern. As far as I know it is indeed an inspectors stamp. Whether it says it was inspected in Birmingham or at the Tower of London or whether the 16 is the inspectors personal number I do not know.